The wait is nearly over: one of crime fiction's most compelling, complicated detectives DI Helen Grace returns this October in HIDE AND SEEK by MJ Arlidge (Berkley; on sale 10/10/17) – and she's back in a big way. Arlidge's gripping crime series has been a favorite of mine ever since I first dove into Book 1 (EENY MEENY) nearly two years ago. Somehow, Arlidge manages to just get better and better; with each new series installment, he ups the ante, delivering more insight into Helen's complicated character and higher stakes for the crimes she must solve. True to form, Arlidge has outdone himself yet again with HIDE AND SEEK: this superb thriller reads like a cross between a locked room mystery and an episode of Criminal Minds, serving up one of my favorite reads of the series so far. 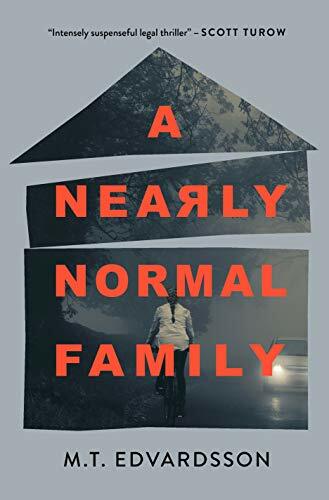 Caught in a wicked game of cat and mouse, Helen Grace finds herself trapped among the hunted in the darkest thriller yet from the international bestselling author of Little Boy Blue and Eeny Meeny. As one of HM Prison Holloway’s most high-profile new inmates, Helen Grace has a target on her back and nowhere to hide. She has made a long list of enemies over the course of her career—some are incarcerated within these very walls. When one of Helen’s fellow prisoners is found mutilated and murdered in her own locked cell, it’s clear that the killer is someone on the inside. But time is running out for Helen as she races to expose the person who framed her, and the body count in the prison starts to climb. Helen will need to draw on all her investigative skills and instincts to catch the serial killer behind these murders and discover the truth—unless the killer finds her first. Let’s face it: it’s not a given that readers will keep coming back to a series over and over. It takes something special to keep readers invested—and whichever element of this series is that something special for you, Arlidge’s books have it in spades. There’s something for just about every kind of crime reader in the Helen Grace books. Strong female lead? Helen is one of the toughest, most complex, and most vulnerable series characters I’ve ever read. Gritty, gripping mysteries? Every single series installment features investigations into twisted, shocking crimes - and no two crimes are the same. Addictive, binge-worthy pacing? I don’t think it’s ever taken me longer than three days to finish a Helen Grace book—their short chapters and driving pacing make these books the perfect escapist crime fiction. If you haven’t read the DI Helen Grace books yet, I would highly recommend going back to the beginning and working your way through them—these books are best read in order, and it would be a serious shame to miss out on the thrills and entertainment of the series. One element of this series that keeps me hooked - an element which is particularly evident in HIDE AND SEEK - is how Arlidge has a particular knack for reinventing himself just enough with each new series installment to keep readers on their toes. Yes, these books are all linked to one another, but each book delivers something just a bit different for readers. Of all the books in this series, HIDE AND SEEK felt the most “different” to me—and I loved this fresh take on Helen’s story. HIDE AND SEEK takes place primarily within a women’s prison, and finds main character Helen Grace incarcerated after being framed for horrible crimes at the end of the previous series installment, LITTLE BOY BLUE. I recently had the chance to interview M.J. Arlidge (more on this soon! ), and he described how he wanted LITTLE BOY BLUE and HIDE AND SEEK to feel like two parts of the same story, with a theme of claustrophobia running throughout. If you’ve read LITTLE BOY BLUE, you’ll immediately recognize that this claustrophobia is reflected in the way the killer murders his victims; in HIDE AND SEEK, this claustrophobia plays out in the setting for the book. Confining Helen in a prison with a number of inmates whom she has incarcerated is just about as claustrophobic and frightening an experience as our main character could imagine… but things take a turn for the worse when a string of gruesome murders in the prison make it clear to Helen that a serial killer is hunting within the prison walls. This setup is absolutely brilliant, and Arlidge follows through with a story that is as instantly appealing as it is lastingly engrossing. Readers will be drawn into the complexities of prison life; they’ll find themselves dropped into a microcosm of society, navigating prison dynamics and piecing together clues to the serial killer’s identity alongside Helen. HIDE AND SEEK has a very different tone from a classic crime novel, but the setting of this book reminded me of the chilling plot of "locked room mysteries" like AND THEN THERE WERE NONE by Agatha Christie. There is something so viscerally frightening about the idea of being isolated, in this case literally locked in, with an anonymous killer, and Arlidge uses this setting to great effect in HIDE AND SEEK. Helen finds herself alone, suspecting everyone and able to trust no one - and readers will be glued to the pages as she unravels this mystery and reveals the (absolutely shocking!) identity of the killer. Readers looking for crime fiction with major entertainment value, plenty of chills, and binge-worthy pacing will find their perfect match in M.J. Arldige’s Helen Grace books. I do recommend reading this series from the beginning; if nothing else, read LITTLE BOY BLUE before diving into HIDE AND SEEK. The plot of HIDE AND SEEK is in total contrast to that of LITTLE BOY BLUE, which found Helen drawn into the darkest corners of her town’s nightlife—yet Arlidge weaves together these two stories seamlessly, serving up an unputdownable mystery that is best appreciated when read as a pair. In my experience, this series has gotten better and better as it has developed, and HIDE AND SEEK is proof that Arlidge and Helen Grace aren’t going anywhere anytime soon.